Keyloggers get a lot of bad rap because they spy on people. But this keylogger is a good one. 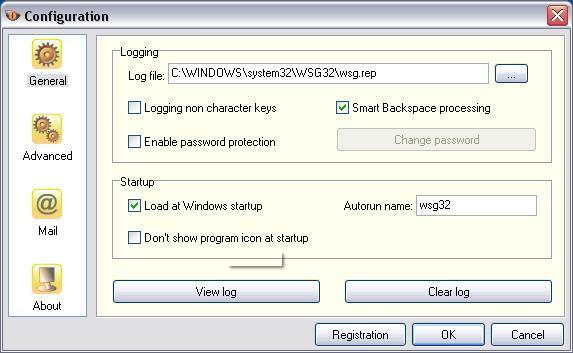 In fact, Golden Keylogger is Net's only family-friendly keylogger. What gives us the right to make this claim? Because the only reason Golden Keylogger was created in to protect you and your family, not to spy on people. If you have teenage son or daughter (some of us have both), then you know how crazy they are about chatting and instant messaging. We know that it's not all that innocent. TV news are packed with stories when strangers tried to take advantage of innocent children by using internet chats and IM (instant messaging). The problem is so big that FBI has a task force that works 24 hours a day 365 days a year. Another problem that recently got a lot of publicity is bullying and name-calling with instant messengers. While your kids may not be honest with you about who they are chatting with and what they discuss, you have the way to know exactly what's going on without invading your kids' privacy. How? Golden Keylogger! After the software is installed, it will record every single keystroke, together with the name of the program it was typed in. So you will have full transcripts of chatting and IM sessions, e-mails, names of websites entered. You can even know if your child used a credit card to purchase something online. You can easily configure the program so your kids or spouse will never know it is running. Plus, there are two ways to view information gathered with this keylogger. First, you can view it with PC it is installed at. Second, you can set the program up to e-mail you these reports regularly (say, every day or 12 hours). So you can be away in your office and know what your kids are planning, whether a backpacking trip is really going to be "this huge party in the desert with bunch of dope and booze" and if your child has some real problems he or she feels talking uncomfortable about but needs help with. Download Golden Keylogger now! (c) 2002 - 2019. SpyArsenal.com. All rights reserved.